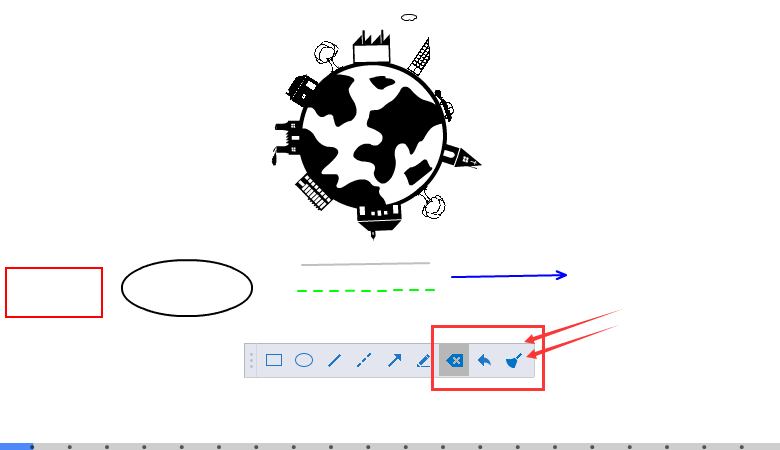 You are able to add different annotations including the rectangle, ellipse, line, dashed, arrow and brushed, which can help you to emphasize on your presentation contents. At the same time, you are allowed to delete annotation one by one, redo the annotation and clear all the annotations simultaneously. 1Click "Show/Hide annotation toolbar" button to make this toolbar visible. 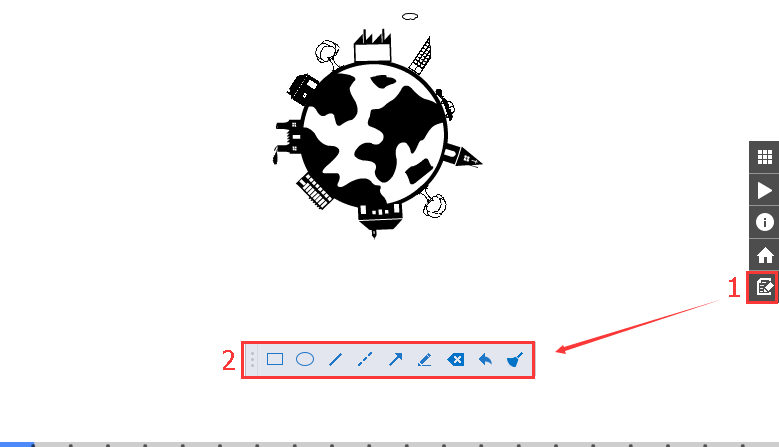 2Click different annotation icons to draw on the presenting interface. 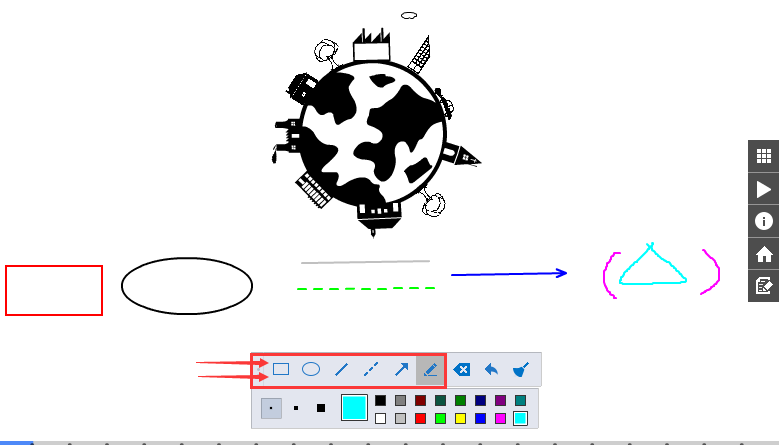 You can add different annotations including the rectangle, ellipse, line, dashed, arrow and brushed. In the meanwhile, you are able to further edit the annotation color and size. 3Delete, redo and clear annotations.